Service First Professionals are licensed, insured, and committed to providing top-quality professional cleaning services for your business or home. 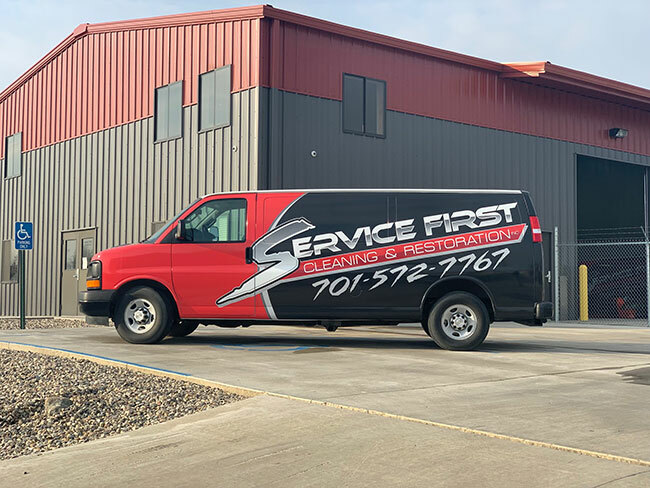 We are the first choice for cleaning and disaster restoration, including water and fire damage in the Williston area of western North Dakota and the eastern Montana region. Our staff are highly trained professionals and are certified by the Institute of Inspection, Cleaning & Restoration (IICRC). We pride ourselves in the most thorough cleaning process using the latest training, techniques, equipment, and supplies available. We offer 24 hour emergency water damage services for when the unexpected happens. We have been in the cleaning and restoration industry since 1995. We offer a wide range of services for residential homes, apartments, restaurants, offices, businesses, and commercial buildings.